RIO DE JANEIRO, March 25 (Xinhua) -- Brazil's ex-president Michel Temer and seven of his close aides were ordered to be released from prison on Monday, following their arrest last week on corruption charges. Temer, his former Minister of Mines and Energy Moreira Franco and six others, were granted release by a federal judge, Antonio Ivan Athie, two days before a panel of judges was scheduled to rule on a habeas corpus petition from Temer's defense team. "Upon examining the case, I verified that there was no justification for waiting another two days for the decision... on the matter of release," Athie wrote in his decision. Athie said he was not acting to curtail Operation Car Wash, Brazil's ongoing judicial investigation into graft, but argued it was the suspects' constitutional right to remain free while awaiting trial. Preventive arrest in Brazil aims to prevent a suspect from destroying evidence, witnesses tampering or continuing to commit a crime. In Temer's case, investigators had argued he was still committing the crime of taking bribes, but Athie contradicted their finding. 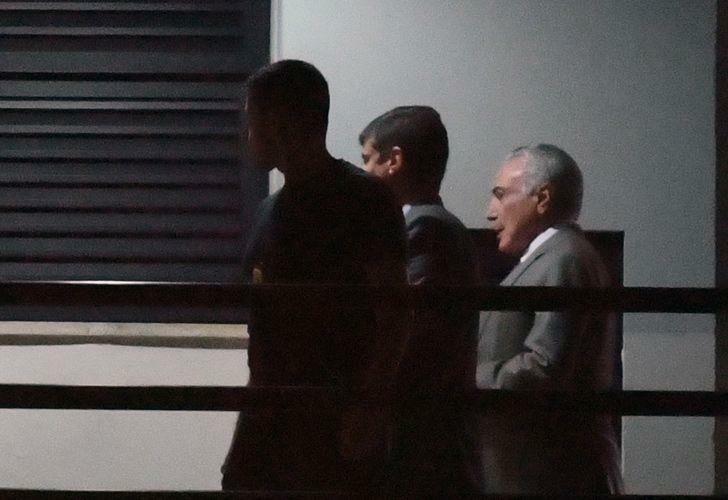 Temer was arrested on Thursday, 80 days after leaving office, for accepting kickbacks from nuclear energy firm Electronuclear, which was granted a government contract to build the Angra 3 power plant. Under questioning Friday, he decided to remain silent. The ex-president was arrested in Sao Paulo, where he resides, and taken to Rio de Janeiro, where the investigation is taking place. He had been held at the headquarters of Rio's federal police force. He is the second ex-president to be arrested as part of Operation Car Wash. Luiz Inacio Lula da Silva is currently serving a 12-year-and-one-month sentence for corruption. Temer became president in mid-2016, after Dilma Rousseff was impeached and as her vice president he was next in line to take office. This Jan. 1, he was succeeded by Jair Bolsonaro.